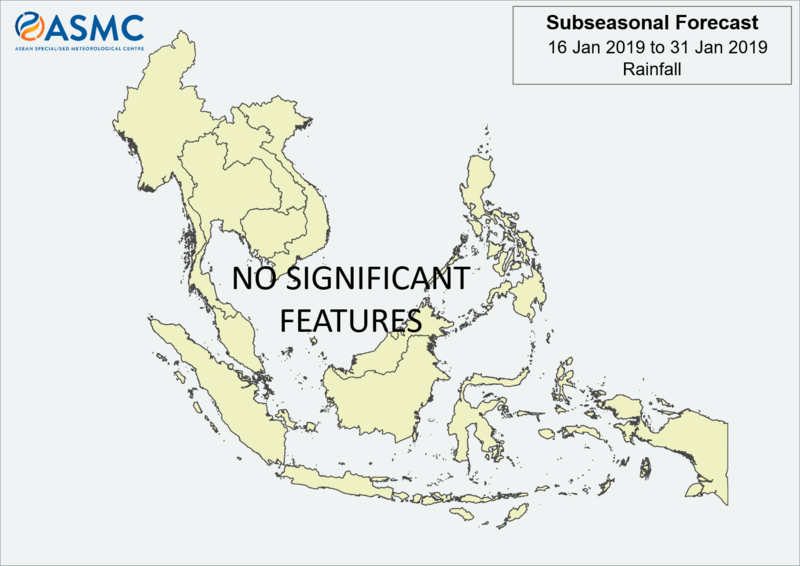 Under the prevailing Northeast Monsoon condition, weather over the northern ASEAN region is expected to remain dry while scattered rain showers are expected over the southern ASEAN region. No significant regional-scale rainfall anomaly is expected for most parts of the region, but coastal Viet Nam may experience wetter-than-normal weather in Week 3 due to a strengthening of northeasterly winds. 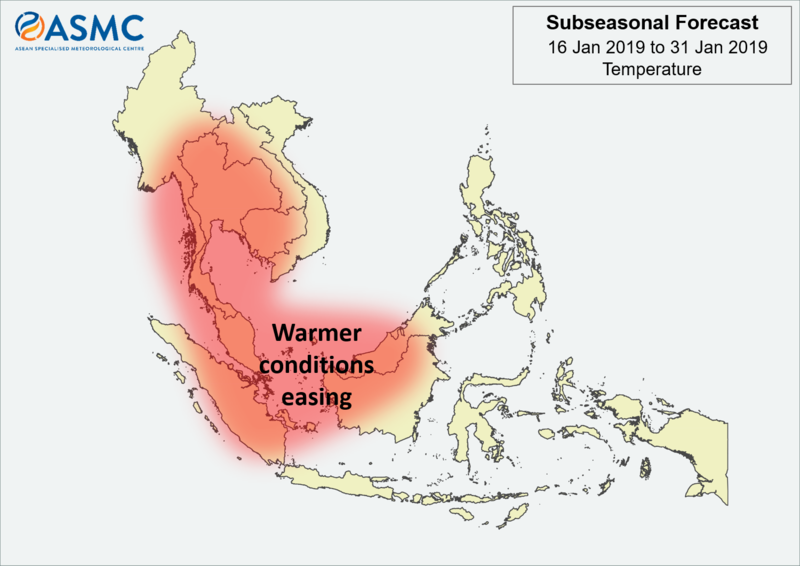 Warmer temperatures experienced in many parts of western Southeast Asia region are expected to ease. The MJO that has been active in the Pacific Ocean is expected to rapidly weaken by the start of the fortnight. However, it may re-emerge in the Indian Ocean or the western Maritime Continent during Week 4.